Albion Brick Cutting is a well established commercial brick cutter and manufacturer of hard construction materials. We professionally cut our clients' building materials for all manner of new build, restoration and landscaping projects. 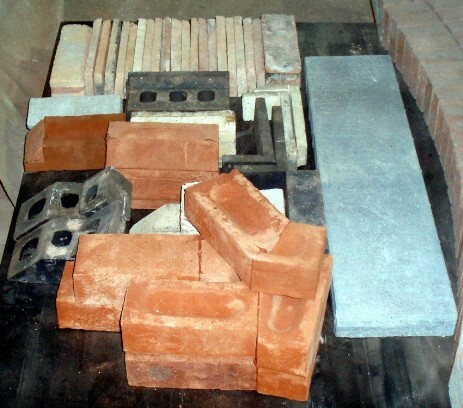 Our committed team is experienced in all aspects of brick cutting and the associated trades. NB: This list is not exhaustive. If you have a requirement that is not stated above, please enquire, as we may be able to help you. We do not sell building materials. Our products are cut in a highly professional manner, to each client's exact specifications. Our services are available at competitive prices and fully guaranteed for our clients' peace of mind. In the unlikely event that there are any issues with the work, our team will attend to the problem within 48 hours, keeping any disruption to a minimum. We also offer a fast collection and delivery service, ensuring our clients receive their orders in good time. If you would like to find out more about our brick cutting services or the paving products available across Leicester and further afield, why not get in touch? Albion Brick Cutting - Our Job is Cutting Corners!